When I (and my poor feet) need to take a break from heels, it doesn't necessarily mean it's also a break from fashion. As recently as New York Fashion Week, world-renowned fashionistas were spotted wearing sneakers, I'll give you a moment to gasp- yes sneakers! Although I wouldn't necessarily wear sneakers to fashion week, it did inspire me to incorporate sneakers into my outfits. 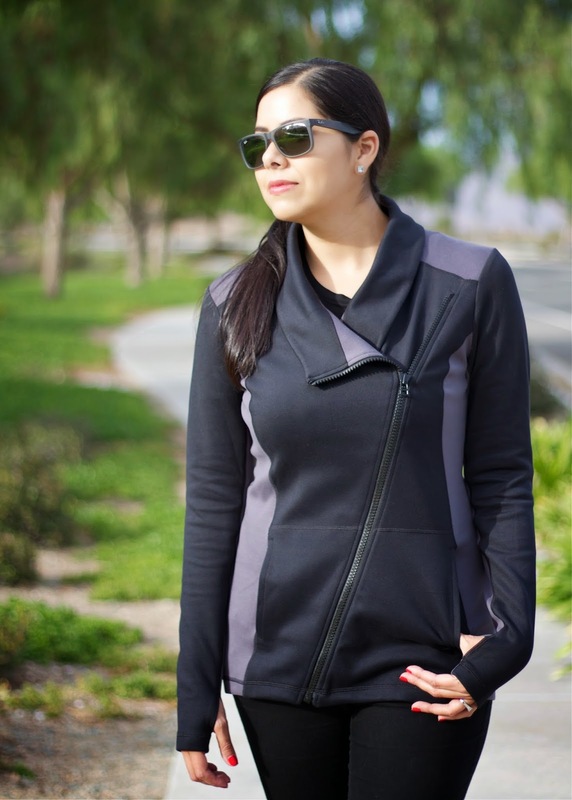 When I received this cool athlethic, yet chic "Dash" jacket from CAbi, I instantly knew that this would be the perfect time to bring in my new hot pink kicks for an all over athletic chic vibe. 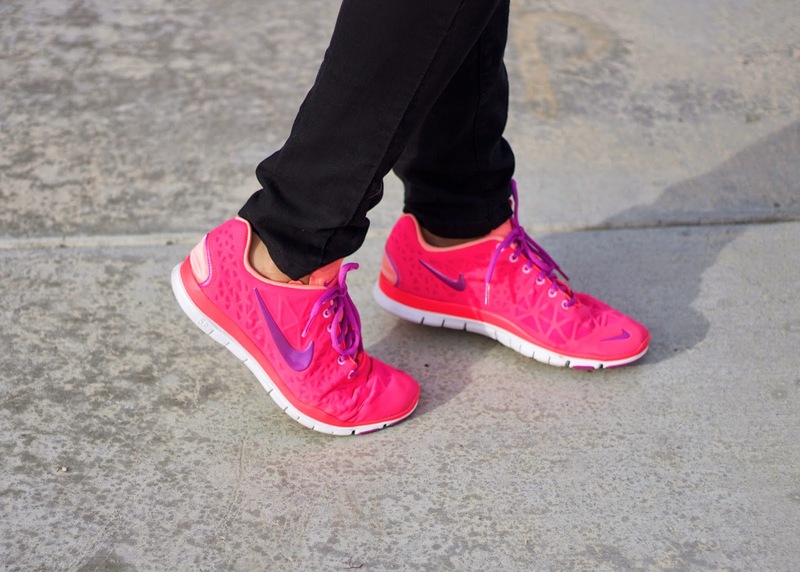 Those sneakers are adding a perfect pop of color! Statement sneakers! I love the pop of color with the all black look, very chic. I adore sneaks and your outfit is super chic! I love that jacket, so Alexander Wang for H&M. And that sneaks is like icing on the cake. I am not much of a sneaker person but I have a few slip ons and converse to give my poor feet some breaks too. Could not have a more perfect shirt!!! !